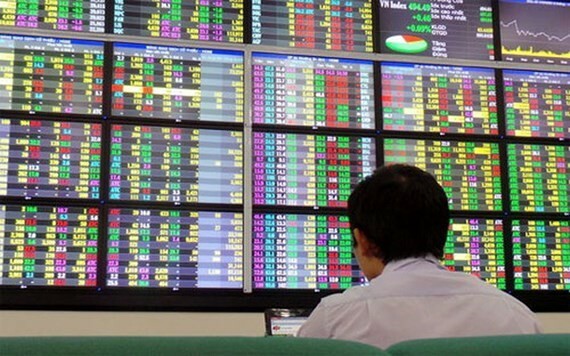 The Vietnam’s stock market advanced for a third consecutive day on April 8 to open week in green thanks to rising trend on Asian stock markets caused by optimistic economic information from the US and China. Particularly, the US jobless claims dropped to the lowest level since early December 1969. Meanwhile, China said that it would promote economic stimulus. Banking and gas and oil shares, including GAS, PVS, PVD, PVB, PVC, PLX and VCB continued to attract the cash flow, helping several stocks in these two groups to strongly jump and gradually spreading upward momentum to the whole market. Other groups such as real estate and securities stocks, comprising of VND, VCI, HCM, SSI, HDG, LCG, LHG, HBC, NBB, SCR, NLG and NVL also increased sharply. The large cap stock VHM also soared by nearly 2.2 percent, sending the benchmark to near 1,000 points. 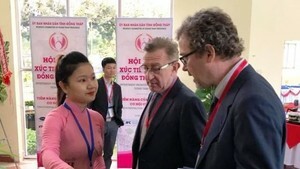 Another positive sign in the market was that foreign investors have returned to net buy after selling for three straight trading sessions with total value of nearly VND170 billion in the market. The VN-Index, a gauge of 347 companies and mutual funds on the Ho Chi Minh City Stock Exchange, rose 8.3 points, or 0.84 percent, to close at 997.56 points. Of the index members, there were 137 stocks winning, 140 losing and 70 remaining unchanged. Ending the trading session in Hanoi, the HNX-Index gained 1.05 points, or 0.98 percent, to 108.93 points with 89 stocks emerging, 86 sinking and 204 treading water. Market liquidity remained at low level but slightly improved in comparison with the previous trading session with total trading value of more than VND4 trillion.